Here’s a hilarious prank and it’s aimed at grandma! While accompanying her kids and their grandchildren to the International Spy Museum in Washington D.C., they all decided to give her a little scare. But it’s too late. 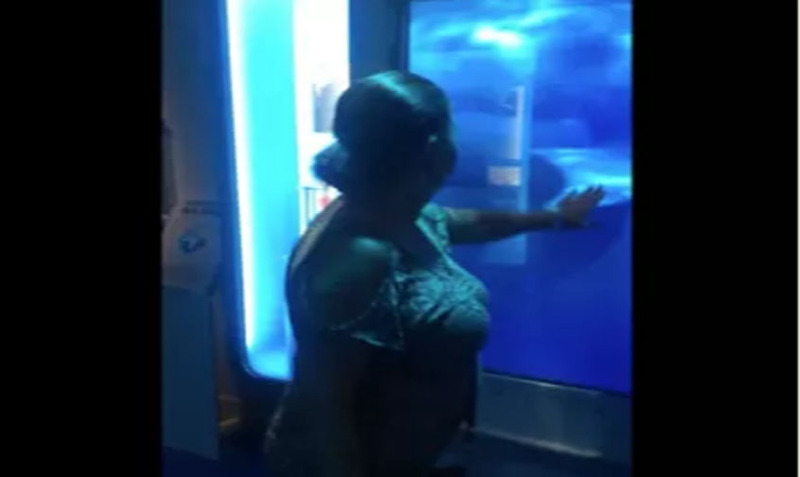 She enters the museum’s shark tank exhibit room and her relatives tell her to touch the glass. Grandma carefully does. She taps the window, and nothing. She then does it again, and nothing! So what’s up? Nothing is happening and grandma is confused. Maybe a closer look into the tank will reveal something. And just like that – WHAM! An enormous Great White appears! It actually does a headbutt against the glass and it causes a spiderweb-near glass shattering situation to occur! Grandma is actually on the floor now, in total fear! Meanwhile, the family is nearly dying from laughter. Turns out, the whole thing was fake! Grandma realizes she’s been set up, and set up good! Listen to how she responds, and see just how much of a good sport she really is! Check out this epic prank and be sure to share it with friends and family!